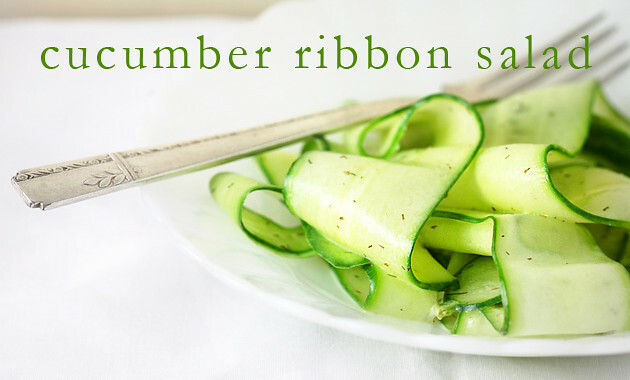 Slice the cucumber longways with a vegetable peeler to create long, wide ribbons. 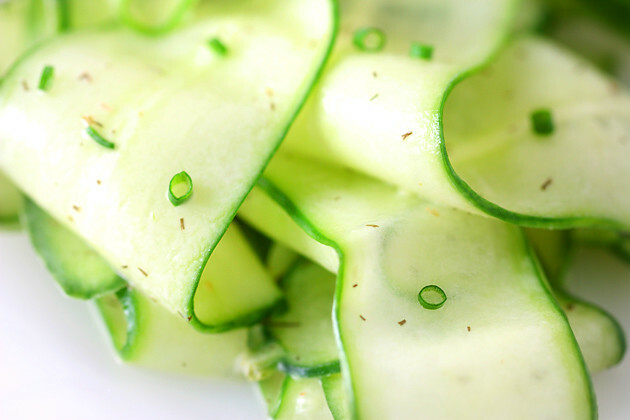 Whisk remaining ingredients in a medium bowl, and add in the cucumber. Toss to coat and garnish with chopped chives, if desired.